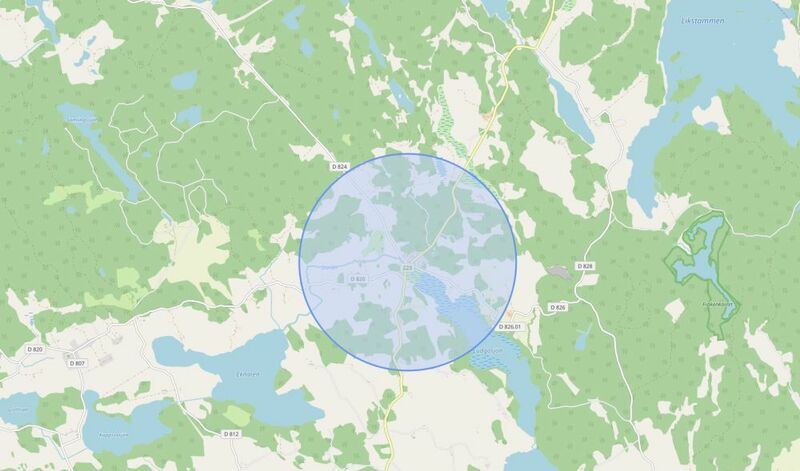 Some time ago I wrote a guide where I suggested how you can use a radius tool with Google Maps. This was possible due to Maps API and because a developer called Oliver Beattie came up with a nifty radius script that made use of the Maps API. Unfortunately Google started to charge for the Maps API, that means the old solution might stop to work in the future. But to Google Maps there is the alternative called Open Street Map and someone branched Oliver’s tool out to make it work with Open Street Map. This means, you can now show a radius on top of Open Street Map, it’s a nice alternative to the previous method with Google Maps. The script loads the map data from Open Street Map, which means it’s the same except that you now add a radius on the map. You can draw several circles, not just one. The tool allows you to change the radius value. It supports several units, for example miles, nautical miles, kilometers, metres, feet, inches, yards and a few other units. A radius is simply added with a left-click, and removable with a right-click. I hope this small article helped you in any way. In my previous post about the Google Maps radius tool I asked people why they were looking for a map radius tool and I was surprised about all the answer and reasons why people needed a radius tool. Here in this short article about the Open Street Maps radius tool I am definitely interested to hear your reasons as well. So, if you have some spare time, let me know why you were looking for a radius tool. I am curious, so drop a comment if you like! One last note, if the article was helpful, you can also help me by sharing it! Thank you this is great! I was just looking for a tool that could help me find driveable vacation destinations, and I wanted to choose using a radius tool on a map. I can now create a map that shows every city within 60KM of my store. Is there a simple way to convert the map file to a jpg or pdf? If not, I will print and scan. I don’t think so. Can’t see any button there that would do it. But you simply can take a screenshot with your print key and paste it into IrfanView or whatever graphic viewer you have installed. From there you can save as JPG. That’s how I usually do it. I can highly suggest IrfanView for these simple things like converting screenshots.